Last week the Miami Dolphins inked free agent cornerback Eric Rowe to a one-year contract worth $3.5 million. 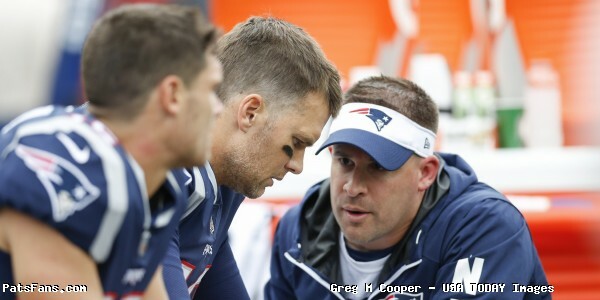 Rowe spent three seasons with the Patriots from 2016-2018, but missed most of his final season dealing with a groin injury that landed him on injured reserve. 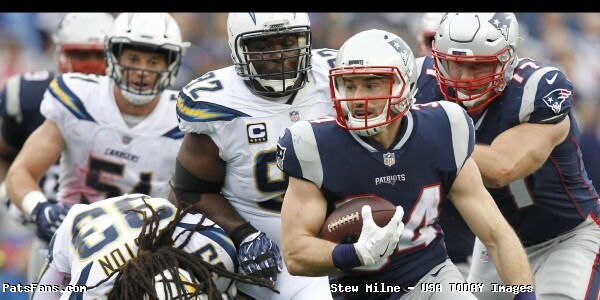 In 21 games played as a Patriot, Rowe logged 50 tackles and one interception. When speaking with the Miami media, Rowe referred to coaching familiarity as one of the main reasons he chose to sign with the Dolphins. Over the weekend, Rowe posted a goodbye message to his Instagram thanking the Patriots for the opportunity. 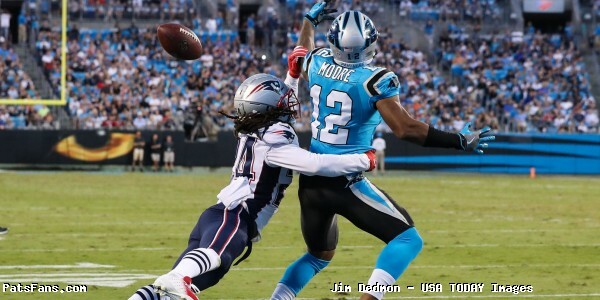 This entry was posted in 2019 Patriots offseason, Patriots News, Patriots Photos, Uncategorized and tagged Eric Rowe on March 18, 2019 by Robert Alvarez. New England Patriots cornerback Eric Rowe may be struggling a bit in 2018, but when it comes to silencing his critics on Twitter, he handles them as well as one can. Rowe, who celebrated his 26th birthday on Wednesday, caught wind of a fan’s negative tweet about him that was in response to the Patriots twitter account wishing him a happy birthday. Despite the team mantra of “ignoring the noise” Rowe decided to reply to the angry fan with some positive words and showed the world he isn’t letting the internet “trolls” get to him. Rowe has missed the last two games dealing with a groin injury, he is listed as questionable for Thursday night. This entry was posted in Patriots Twitter and tagged Eric Rowe on October 4, 2018 by Robert Alvarez. 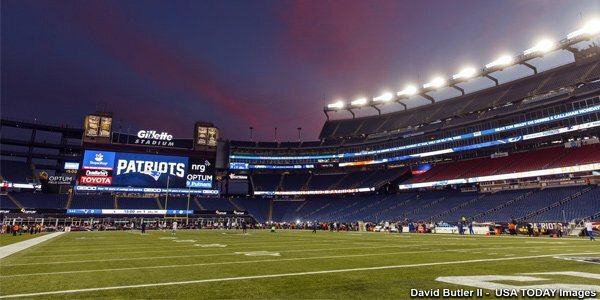 The Patriots begin training camp in less than a week and have many intriguing decisions to make at several positions on the roster. With 90 players on the current roster, many of them will be truly competing for roster slots and reps and are not just camp bodies. The defense was much maligned in 2017 and there looks to be several different faces on the field from the team that played in the Super Bowl. Among them is the cornerback position. Malcolm Butler left via free agency to the Tennessee Titans after being benched for the Super Bowl. Jonathan Bademosi in now in Houston. The team drafted Duke Dawson and Keion Crossen in the 2018 NFL Draft. They also brought in the intriguing rookie J.C. Jackson as a UDFA this spring. Jackson had a strong spring but now will have to prove it again once the pads come on. With several veterans and rookies, 11 players in all vying for probably six roster spots, reps will be valuable and possibly limited for some. This will be a fun position to watch next week. 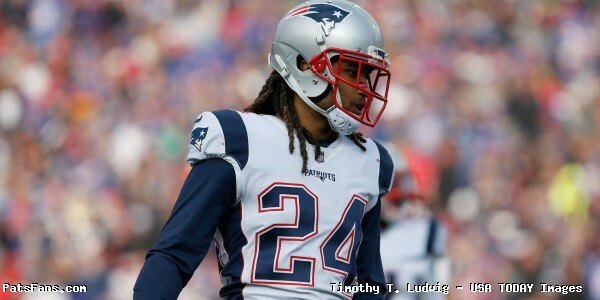 The team paid big bucks for Gilmore last season in free agency and after a little bit of a shaky start where he was struggling to find a comfort level, he quickly turned it around. Gilmore was the Patriots best corner, by far down the stretch and into the playoffs last year. 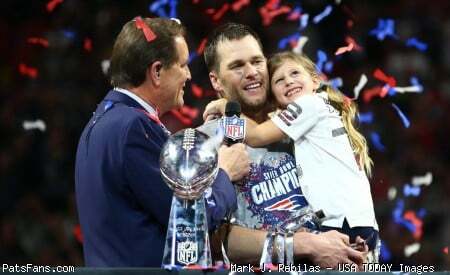 His diving play, knocking the ball away on a 4th down against the Jacksonville Jaguars in the AFC Championship Game, sealed the deal and sent the Patriots to the Super Bowl. He followed that up with a stellar spring where he blanketed whoever was assigned to him to cover. Gilmore is locked in as the team’s starting left corner and they’ll be in good shape with him out there for the next few years. Rowe has the size (6’1,205) they like to match up with bigger wide receivers and will vie for the starting spot opposite Gilmore. He has the versatility to play outside or in the slot, although with the players they’ve brought in, it seems they are intent on keeping Rowe on the perimeter. Dawson was the team’s 2nd Round (56th Overall) selection in the 2018 NFL Draft. 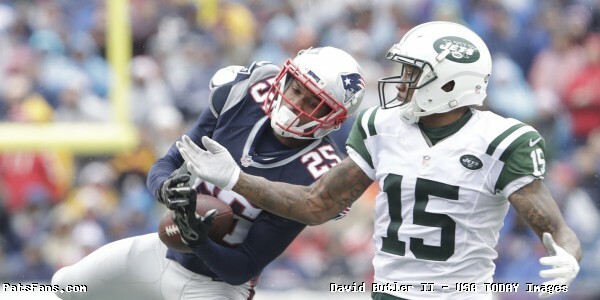 The Patriots have scouted him for quite some time and like the versatility for the soft-spoken corner. He can play on the perimeter, in the slot and even some safety. But given his size, 5’10, 202, he’s shorter but very stocky, he may be best suited for the slot. The Patriots brought in McCourty from Cleveland and after trying a few years to land the twin brother of Pats safety Devin, they’ve finally got their man. He was thought to be in the mix for the starting job immediately but then in the spring he barely played. Was it a nagging injury or something else? We’ll have to see. But I think he will stick and play a key role. Jonathan Jones played valuable snaps in the slot last season and generally fared well when he was on the field. He played sparingly in 2016 but then parlayed that into nearly 50 percent of the defensive snaps a year ago while being a regular valuable contributor on Special Teams. He was hurt late in the year with an ankle injury that landed him on IR and the Patriots really missed him in the slot especially in the Super Bowl where they were gashed by the Eagles. He missed all of the spring workouts and I have a sneaking suspicion that he’ll begin training camp on PUP. The Patriots used their top pick a couple of years ago on Cyrus Jones who, it was thought would be an immediate contributor on defense as well as in the punt return game. Neither happened as he struggled all season with fielding kicks cleanly. He tore an ACL and meniscus during preseason last year and was placed on IR. In Year 3, he’s running out of time to show something. Unfortunately for him, he may not be ready to go either, missing all of the spring workouts and may begin camp on PUP. The Patriots picked up Wiltz last season and he spent the entire season on the practice squad. He could be in line for a big jump in Year 2 but we’ll have to see if he can turn some heads in camp. Jackson may be this season’s UDFA steal. He had a pretty impressive spring and earned reps next to Gilmore and went against the likes of Edelman, Hogan and the other starters. He looked strong and feisty and competed hard on every snap. With the two Jones possibly on PUP, it may open the door a crack for the former Maryland corner to find his way onto the roster if he can continue his strong play. Lewis is a very intriguing player. Undrafted last spring, he went thru camp with the Cardinals and played well. He was cut, signed to the Arizona practice squad and released on September 12. The Patriots signed him the next day to their practice squad. Buffalo attempted to sign him off the practice squad to their 53-man roster but the Patriots convinced him to stay by paying him the salary of an active roster player. That speaks volumes about what the team thinks of him. He’s certainly athletic, at his pro day in March 2017, Lewis ran a 4.37-second 40-yard dash with a 6.87-second 3-cone, 35-inch vertical leap, 10-foot, 8-inch broad jump and 4.34-second short shuttle. Those are all impressive numbers. With a strong second season, he too could force his way onto the roster. Without any untold injuries, it is hard to envision either the athletic Crossen or Moore making the roster at this point. Unless they have a fantastic summer. But it is strictly a numbers crunch. There are only so many reps to go around. Both are candidates for the practice squad. But crazier things have happened. Malcolm Butler was another one of those real longshots to make the roster and he’s now cashing in Tennessee. 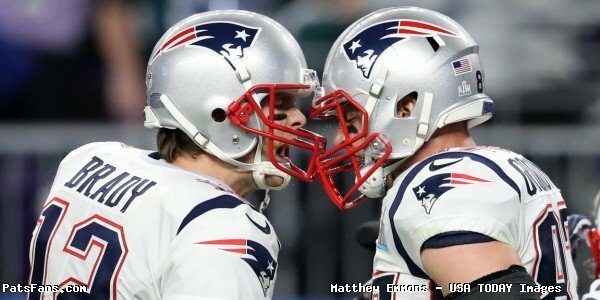 This entry was posted in NFL Commentary, NFL News, Patriots Commentary, Patriots News and tagged 2018 Patriots preseason, 2018 Patriots Training Camp, 53 Man Roster Projection, AJ Moore, Bill Belichick, Cyrus Jones, Duke Dawson, Eric Rowe, Jason McCourty, JC Jackson, Jomal Wiltz, Jonathan Jones, Keion Crossen, Malcolm Butler, New England Patriots, NFL, Patriots, Ryan Lewis, Stephon Gilmore on July 20, 2018 by Steve Balestrieri.